Dentaid is committed to working to end IOM which is a traditional practice performed, usually by village healers but also by priests and midwives as an accepted remedy for illness. Infants presenting with diarrhoea and/or fevers are subjected to the removal of unerupted baby teeth as the swelling of the gums is mistakenly thought to indicate the presence of tooth worms. The tooth buds, usually of the eye teeth, are prised out of the gum, without anaesthesia, with unsterile tools such as a bicycle spoke, a hot nail, a penknife etc. Blood loss and shock due to the crude nature of the operation can lead to anaemia. The unhygienic methods can cause septicaemia, tetanus, transmission of blood-borne diseases such as HIV/ AIDS, and can on occasions be fatal. 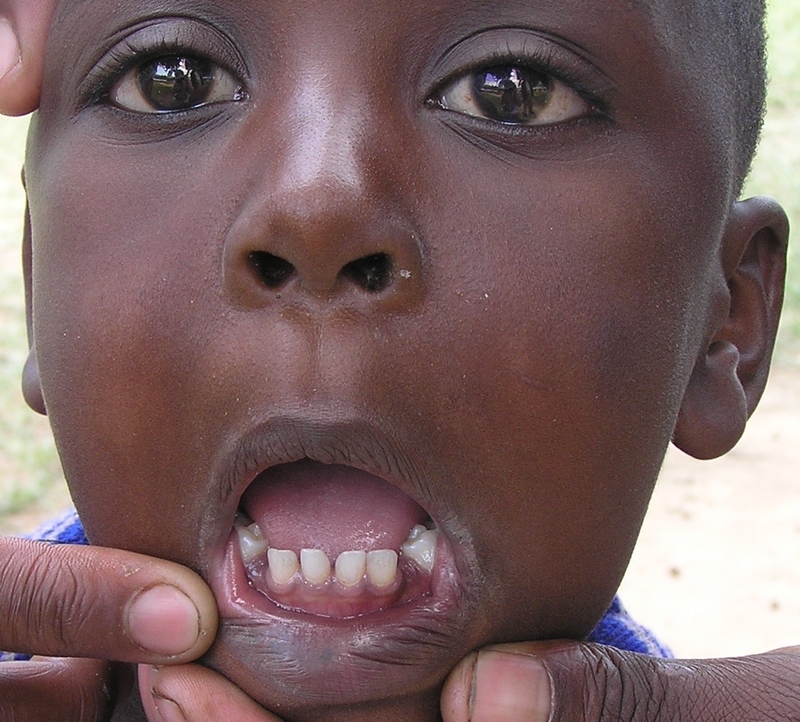 Long term effects can include eradication and/or malformation of other primary and permanent teeth in the area. Dentaid has conducted research into the practice of Infant Oral Mutilation and produced the documents above. We also make this information available in the languages spoken across eastern Africa where the practice is most common. By working with local dentists we are hoping to highlight the dangers of IOM and encourage safer dental treatments. Dentaid supports the training of dentists in Africa and is keen to share expertise so that IOM and its appalling risks and side effects become a thing of the past.